Photo by Frank Jordan, May 2010. Classic marine organism growth on prop roots of red mangrove. 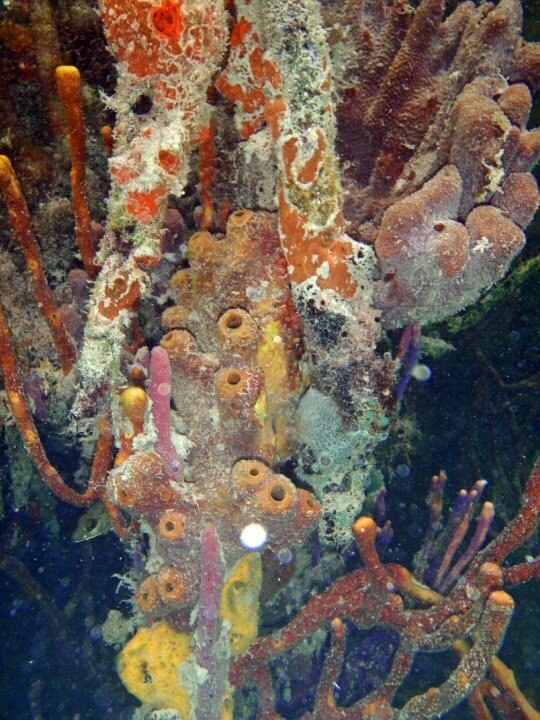 This photo was taken at South Water Caye, Belize, mostly showing diversity in sponges, a tunicate, corals, and more.